Be the Bank. Invest in First Mortgages. Scheduled yields of 7% to 12%, assuming the borrower pays as agreed. Our typical deal yields 9%. We have trust deeds available right now for your immediate investment. Good loans are extremely hard to find these days, but because the Blackburne family also owns C-Loans.com, we see far more applications than just about anyone. Loans originated and serviced by a 38-year-old company. Blackburne & Sons handles any foreclosures and property management. Blackburne & Sons is owned by an attorney, licensed in both California and Indiana. If you reside outside of California, you must be an accredited investor in order to invest with Blackburne & Sons. This means that your net worth must exceed $1 million, exclusive of your personal residence, your vehicles, and your household goods. 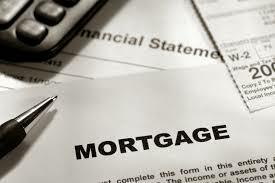 Disclosure: Investing in first mortgages involves significant risk. A substantial and prolonged decline in commercial real estate values is possible. Foreclosed commercial real estate almost always requires considerable renovation, so be sure to maintain some liquidity. Be sure to read the “Risk Factors” section of the Private Placement Memorandum carefully before investing. This is not an offer to sell securities. Such an offer is only made when accompanied by a Private Placement Memorandum.